Why does TR-ORCA use five channels? Why not four like others? TR-ORCA was originally designed for a specific use. That was to localize passive sources over a really wide acoustic bandwidth. Through research and experience we have found that five element arrays give better performance than four element arrays in beamforming and localization applications. The fifth channel can be used in a small compact circular array as a center element, which allows for simple beamforming, and bearing estimation at moderate frequencies. While the extra element in the middle of a tetrahedral array can give excellent non-ambiguous results for time of arrival applications at ultrasonic frequencies, like those used by harbor porpoise. 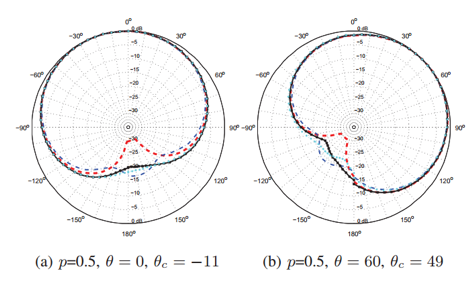 Below is a plot of some cardioid beamforming results with five hydrophones directly connected to our end cap in a small circular array configuration. Five hydrophone inputs gives a massive advantage over single hydrophone systems. Not only can you use these inputs for localization, but you can also sample at varying depths in complex acoustic environments, or use hydrophones of different sensitivities and characteristics on different channels to maximize dynamic range.